The planned 2019 Vancouver Chinese Lantern Festival, which was scheduled to run from February 1 to March 31, 2019 at Hastings Park, will not proceed as planned due to difficulties related to obtaining artisan work visas. Art Show China Inc., the Canadian division of Sichuan Tianyu Culture Communication Co. Ltd, which is the group behind the outdoor festival that made its debut in Vancouver in late 2017, indicated they have already started the planning process for the festival to return to the PNE fairgrounds in 2020. 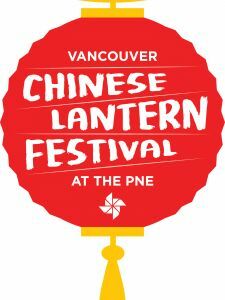 “While we are disappointed that the thousands of anticipated guests for the Festival will not be able to experience this world-class show in 2019, we are pleased that the Art Show China is beginning planning for the return of the Vancouver Chinese Lantern Festival in 2020,” says Pacific National Exhibition spokesperson Laura Ballance. Sichuan Tianyu is renowned for its ability to combine Chinese-folk culture and entertainment into popular China Light Festivals and carnival experiences. Sichuan Tianyu has successfully hosted Chinese light festivals and other celebrations of Chinese culture around the world.